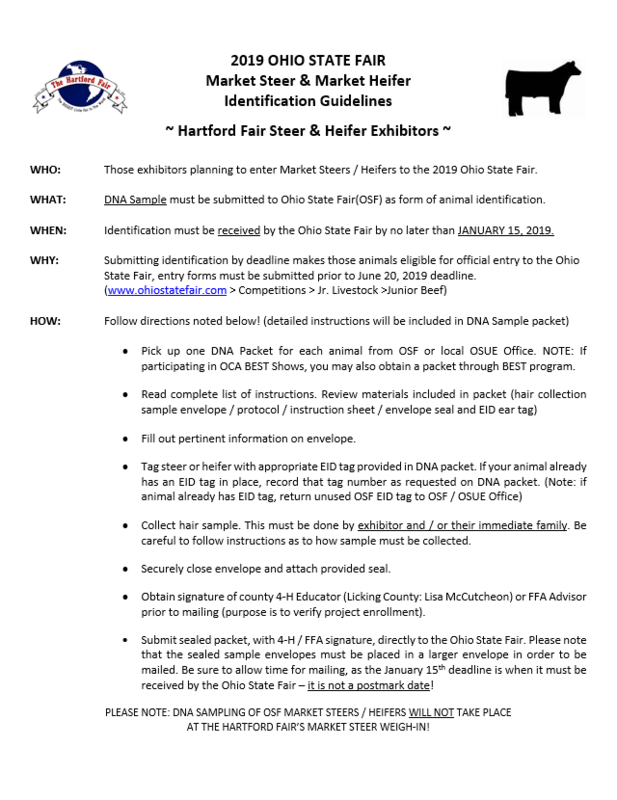 Market Steer / Heifer Weigh-In will be held, as scheduled, on Saturday, January 19th at the Hartford Fairgrounds. 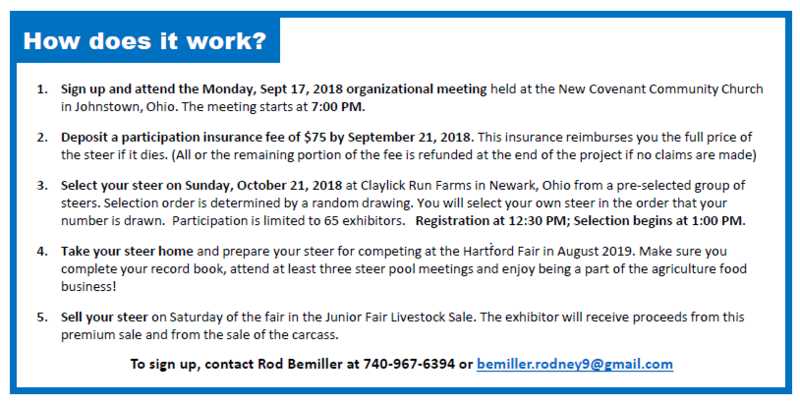 HOWEVER, weigh-in will get underway at 8:00 a.m. (rather than 9:00 a.m.) in hopes of getting through the calves more quickly, and having everyone headed home prior to the bulk of the snow arriving. While we realize that the snow is scheduled to begin around 8:00 a.m. (by current forecasts), the likelihood of ice accumulations in the morning have been greatly downgraded. Be safe and travel carefully as you are out an about this weekend! 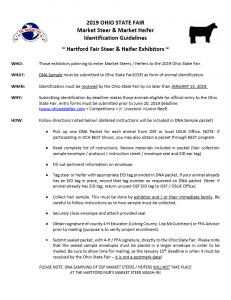 Hartford Fair Market Steer / Heifer Weigh-In will take place on Saturday, January 19, 2019 at Grubb Arena on the Hartford Fairgrounds in Croton. Weigh-in will get underway at 9:00 a.m., and will conclude at noon. 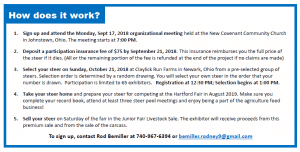 All trailers are asked to enter the fairgrounds through GATE C, proceed East toward Grubb Arena, circle Grubb on the SOUTH side (between Grubb and Horse Arena), pass behind the Sheep and Goat Barns to the East, and turn left to drive West – passing Grubb Arena on the North side. Trailers will then stop in front of Grubb to unload and load, then exit the fairgrounds through GATE C.